On this glorious Memorial Day I am reposting one of my most “memorial” posts from yesteryear. I hope you enjoy it! Oh — and while you’re at it — take time and give a nod and blow a kiss to those whom we honor for their service to our country — today and EVERY DAY! What does it mean to be middle-aged? Is there a line drawn across the cosmic playfield that says on this side, you are old, on this side, young? If you love Big Band and Glen Miller, are you old? If you like Rhianna or Jay-Z are you young? If you like InSync or Boy George, are you just … weird? The older I get, the fuzzier the line gets. I have friends on the 40/70-year-old line that lead fairly “normal” lives: Dancing with the Stars, American Idol, Oprah. Then there are those who are a little more wild: The Shield, Sons of Anarchy, AC/DC. Where do most of us fit? How do we know where the line is between antique and hip hop? Between dancing and throwing our back out? The trigger mechanism tonight was Paint Your Wagon, a musical made 40 years ago. Imagine: Clint Eastwood singing. 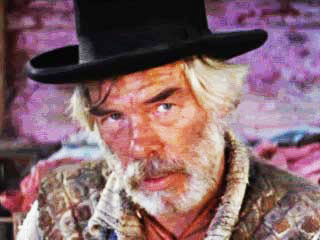 Lee Marvin dancing and singing about beans. This movie is 40 years old; twice as old as my youngest son. Yet there are some of us who sit around, laughing and singing the songs as if they were still on the top of the charts. When I watch musicals like Brigadoon and Sound of Music and Camelot, my kid looks at me like I’ve grown a second nose. Musicals give most teenagers the willies. If it’s not High School Musical or Glee, it’s not a musical. He shakes his head and goes to watch movies where people get their limbs cut off or that showcase breasts that hang out like watermelons in the summer sun or guys sitting around smoking weed and talking about getting laid. It’s at these times that I feel so disconnected. So…old. I know that every generation has to evolve. What was fascinating, entertaining or daring to one group is not necessarily to the next. I find myself cringing at songs like Itsy Bitsy Teeny Weeny Yellow Polka Dot Bikini and The Bird is the Word. And those were from the generation right before me. I’m sure that same generation shivered at songs like Transylvania 6500 and Don’t Sit Under the Apple Tree. Even my parent’s generation had dissenters: I have a song in my collection called If Swing Goes I Go Too by Fred Astaire, singing about “some old fogey wants to ration swing.” Imagine! Our parents being rebels! Of course, there are many other reflections of generation gaps, many other blank looks from both sides of the fence when music and movies and clothes come to the forefront. I am not the first to discover that there are a number of meanings for the same word, and not everyone is on the same page of the dictionary. My son is fond of chillin’ and hangin’; I can imagine what that would mean to my grandfather’s generation. While I try not to use phrases that date me like groovy and far-out, I can’t help but fall back on standbys like cool and hunky dory, words that dance on the edge of fogey-ism. I think alot about the generation gap. Not so much how I am on one side or another, but how I can bridge that gap. Sooner or later everything revolves back onto itself. Not back to exactly the same spot; not to the same beat (eight-to-the-bar, jive, waltz), nor to the same words (commie, greaser, beatnik), but to explanations for the same situations that haunt all human beings. As much as underwear sticking out from atop blue jeans and skull caps shake our interpretation of fashion, I imagine mini-skirts and go-go boots did the same for those who wore spats and garters. All generations wander through the fog; some with purpose, others just along for the ride. All generations start out with a dream, a hope that they will somehow make a difference in their world. One way or another everyone wants to be noticed; everyone wants to be remembered. Some make slasher movies; others cures for diseases. Some climb Mt. Everest, others walk the track for Breast Cancer. For some of us the best we can do is pass along our lasagna or apple pie receipe. We all contribute in our own way. We are all wanderin’, we are all goin’ somewhere. And few of us know when we’ll get there. And yes, we are all chillin’ and hangin’. We are all part of the same cycle, mixing and blending and blurring the lines of old AND new. Amazing what happens when all generations fall into the same pot — we become one amazingly flavorful stew. I recently mentioned a Beatles song to a person half my age and they told me they really didn’t know their music. I didn’t think I was old…I thought they lacked a broad knowledge in popular culture. Thats like my generation saying they really didn’t know Frank Sinatra’s music. The giants will always be giants. I agree with your assessment!